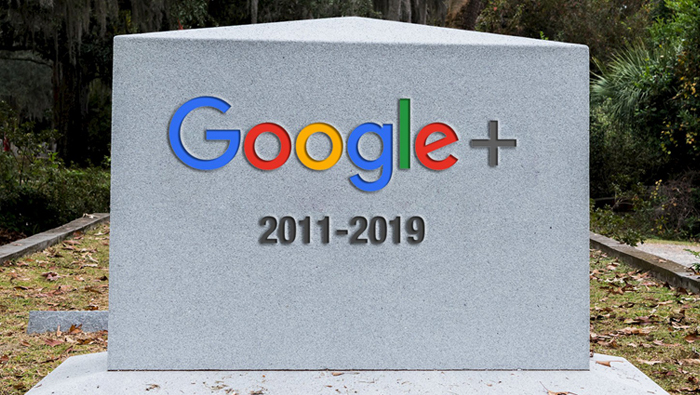 In nine months, Google + will be completely gone. And, you will not miss it. In October Google disclosed in a blog post that it plans to shut down the consumer version of Google+. The truth of the matter is that, not only did the Google+ social network have a low user base, but of those who did use it, 90 percent of the sessions lasted less than five seconds. Google’s attempt to do battle with Facebook did not work out for a company used to success. In some poorly-thought-out naming strategy, Google stretched the use of the “+” term to the point of confusion. For several years your Google My Business (GMB), better known to the public as “Google Maps”, was called “Google+ Local” and a Google Review was called a “Google Plus” review. People were required to have Google+ Pages to leave reviews. It was a not-so-subtle way to shove Google + down everyone’s throats. How better to compete with Facebook, right? The fact of the matter is that, even though Google did not advertise the fact, Google+ has become less and less relevant in the factors that impact a Google Local ranking. The good news is that, as a result, the loss of Google+ will not impact your rankings and there is nothing for you to do differently as a result. Stop relying so much on third-party sites for housing your content. Put the content on your own website and let social media sites link back to it. If it is not on a site that you own, you really don’t own the content. And, it could disappear. Use the still-available and useful Google My Business posts as a way of distributing access to your content. Use GMB posts in addition to, not instead of posting on your site. So, how do you create a Google Post? 2. If you have multiple locations, open the location you’d like to manage. 3. Click Create post or click Posts from the menu. 4. The “Create post” screen appears. 5. Options to add photos, videos, text, events and offers, and a button to your post appear. 6. Click Preview to see a preview of your post. There are lots of strategies that inexpensively offer home care agency owners the opportunity to expand their census with minimal effort and cost. Rowan Reputation Resources works exclusively in the home care industry with agencies to help them grow. Spend less; sell more. To start a conversation, please contact us by clicking HERE.